At English Martyrs’, English is at the heart of our teaching and learning as we know it is a vehicle for learning in all subjects across the curriculum. We aim to support the children to develop a passion for reading and writing. Phonics is taught daily and systematically in Early Years and Year 1. We follow the Letters and Sounds programme and use a whole range of resources to support the teaching of phonics. Children are also encouraged to use their decoding skills in their reading and writing. We use a range of schemes including Collins Big Cat and Oxford Reading Tree to support early reading in Early Years and Key Stage 1. Across the school, children are encouraged to read at home every day as part of their homework. Independent readers are asked to complete a Reading Passport which consists of eight reading challenges. 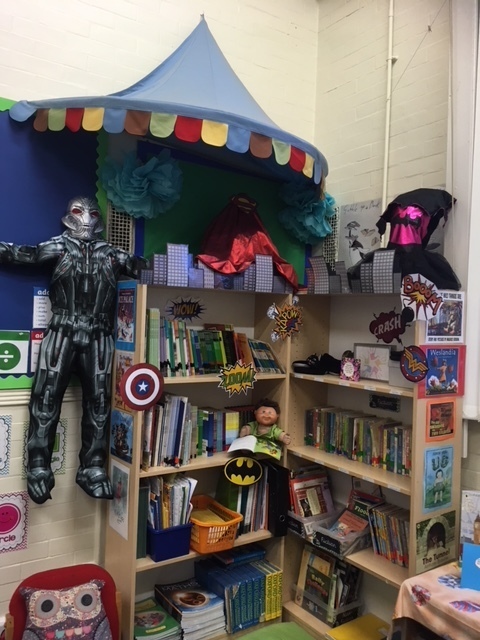 Children can also take home a book of their choice from the school library. 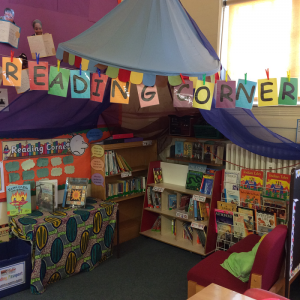 To motivate and engage children in reading, each class creates a book corner relating to their class topic or book. Each term, the book corners are judged by a member of the Senior Leadership Team. 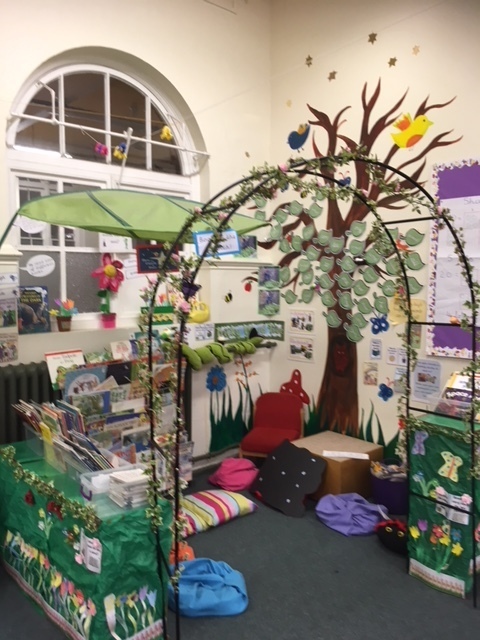 Congratulations to our Autumn Winners: Class 3M, with a book corner based on their Heroes and Villains topic, and Class 1K, with their book corner based on the well known book; The Secret Garden. Children are taught cursive handwriting right from Nursery up to Year 6. Thank you to all the parents from Reception and KS1 who came to read with their child this morning. It was great to have so many children and parents reading together and everyone enjoyed it. One parent said ‘This is a really good idea and I can’t wait to come again.